Very basic opener, but The Street Profits get better every time I see them live. Lorcan did a dive onto Blake and Cutler and then the Profits hit their spinebuster/frog splash combo. 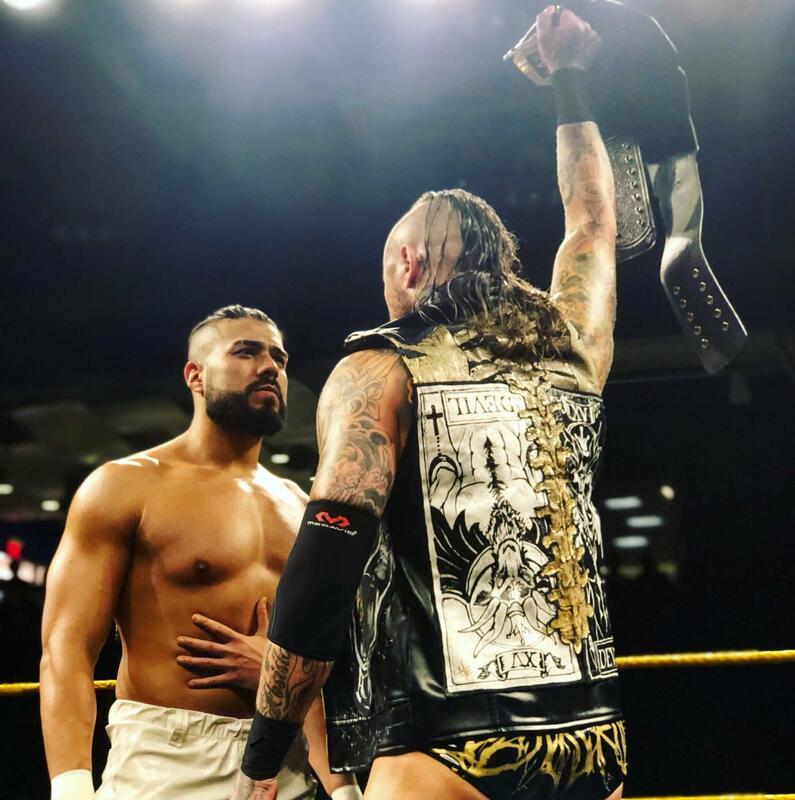 - A vignette aired on the tron with Zelina Vega telling Andrade "Cien" Almas that tonight in Bel Air was his last chance to win the NXT Championship and take it to SmackDown. The crowd loved Sane and LeRae. This was a basic and back-and-forth match, which was won by Evans when LeRae was coming off the top rope and she caught her with a punch. EC3 won with a fireman's carry into a cutter. He jumped out of the ring and headed to the back immediately afterwards, with Jose getting to have a bow/curtain call as the fans chanted "Thank you Jose!" - Johnny Gargano's music hit and the place went nuts, but then it stopped and Tommaso Ciampa came out to nuclear heat. He called the fans puppets and said Gargano wasn't medically cleared to be there, but that Ciampa would knock out any opponent who came out to face him. They had a great back-and-forth bout which saw them kick out of tons of big moves. Ohno even got to kick out of a loaded punch from Ciampa before being finished off by a running knee to the back of the head (Ciampa's half of the DIY finish). - After intermission, they showed a backstage segment where Velveteen Dream confronted Ricochet and called himself the "Fresh Prince of Bel Air" and implied he was from here. Ricochet reminded him that Dream is actually from Washington D.C. This was the match of the night. They worked slow at the start, then moved onto showing that they were evenly matched athletically. After plenty of near falls, Ricochet won with the 630 senton. They told a good story with Baszler trying to grapple early and Cross being too crazy and wild to contain. Baszler worked over her arm for most of the match before Cross made a comeback. Baszler retained with a sit-out suplex into the rear-naked choke. - As they were starting to announce the main event, Gargano ran in from the crowd with a soft neck brace on. He said he didn't care if he was medically cleared or not, he wanted to fight Ciampa. Ciampa came out and they brawled until wrestlers and referees came down to break it up. They would each break free and try to get at each other again. Ciampa eventually went to the back and Gargano, LeRae, No Way Jose, and Lorcan stayed in the ring and raised each other's hands as Gargano's music played. The place went nuts for Gargano, who had never appeared in Bel Air for NXT before. Another very good match -- tons of near falls and Vega interfering to get the heat. The finish came when Almas grabbed the NXT title belt and went to hit Black with it, but Black hit the Black Mass kick and won. The crowd really reacted to Black like a star before, during, and after the match. Overall, this was probably the best NXT show top-to-bottom that they've put on in Bel Air (this was their fourth time coming to the APG Credit Union Arena). A really excellent show all around.